There was one clear contrast between the Newcastle and Wolverhampton games, which revealed the difference between a 1-0 defeat and a 2-0 win. That contrast was Cesc Fabregas. Fabregas had one of his worst ever performances in an Arsenal shirt against a determined Newcastle side on Sunday, and that game ended in defeat. Of course there are more factors than just Cesc, but his performances are a fascinating strand of this story. Against Newcastle Cesc misplaced almost 27% of his passes during the game, and this epitomised the way Arsenal played as a team on the day. In the end the team found little rhythm or flow, and were beaten deservedly. How many points will Arsenal get from the remaining games? To presume that Arsenal will now qualify for the Champions League this season is a very dangerous mentality. To presume that the FA Cup and the Champions League are the only genuinely important games remaining is a very dangerous mentality. Arsenal may well sit six points ahead of Aston Villa in the race for 4th spot, but there are some tough games remaining for the Gunners. Aston Villa are bound to pick up their form in the remaining few games as well, so the Premier League is still very much a priority for Arsenal. With this in mind, I thought that it would be appropriate to take a look at the remaining league games for Arsenal and to reveal my football predictions as to how many points will be achieved. Will the unbeaten run keep going? Will the loss of Clichy and Gallas be crucial in the coming weeks? A little speculation never hurt anyone, so let’s take a look. Wigan v Arsenal: Forgive me for my pessimistic attitude on this one, but I think it is going to be a draw. The combination of being tired from Europe and the injuries will affect Arsenal.1 – 1. Liverpool v Arsenal: Liverpool’s home form has let them down this season at crucial times. This will be a must win for them, but Arsenal have been good against the ‘big four’ this campaign. Another draw for me. 2 – 2. Arsenal v Middlesbrough: This should be a home banker. Middlesbrough will be fighting for their Premier League lives at this stage, but Arsenal should have more than enough. Arshavin, Van Persie, Adebayor and Walcott up against Chris Riggott and co? 3 – 0. Portsmouth v Arsenal: This is a very difficult game. Pompey will need the win to steer clear of the relegation zone. For some reason, I see the unbeaten run coming to an end here. 2 – 1. Arsenal v Chelsea: In response to the Pompey defeat, Arsenal will start this game at an electric pace. The crowd will be loud, the players will be determined and the luck will be on Wenger’s side. 2 – 1. Man United v Arsenal: I think it is fair to say that Arsenal will have their say on where the title goes this year. In the penultimate game of the season, Manchester United will still need as many points as possible. However, they will drop two on this occasion. 0 – 0. Arsenal v Stoke: A nice home win to finish the season? I think so. After this hammering of Stoke, optimism for next season will be extremely high. 5 – 0. Should these results come true (remember they are just predictions that you may disagree with), Arsenal will gain another 12 points to leave them on 70 for the season. This means that Aston Villa would need 19 points from their last seven games to overtake them. Quite a big ask, I’m sure you’ll agree. However, Arsenal are by no means guaranteed the points I gave them. The games against Liverpool, Chelsea and Manchester United could go either way. Overall, my message is that 4th place is by no means guaranteed. The Premier League is still my number one priority and I just hope the players are aware of this. A win at Wigan tomorrow would do no harm at all. Not bad – We finished on 72 pts and took 4th place! Hull submit their Spit-gate accounts – what will come of it? Phil Brown and his chums at Hull have finally submitted their accounts of the alledged Cesc Fabregas spitting incident after being given an extension for submission by the FA. This follows the disapperance abroad of all witnesses – just the one – Brian Horton. Phil Brown was decidedly shifty when interviewed the morning after the game (read here), and didn’t seem to clearly remember all of his accusations – many of which seemed to stem from a blinding case of bitterness at Hull’s season collapsing in front of his eyes. Since the original allegations it has become clear that Brown suffers from some sort of memory loss applying to handshakes, and post-match comments, but is a good northern lad, who calls all women ‘darling’ and has very strict dress codes. Cesc Fabregas has vehemently denied all allegations, and has never spat at anyone in his career, contrary to claims that he spat at Michael Ballack in 2005, which was ruled by UEFA as untrue. Good for you Phil – you don’t need to worry about any of the disrepute you have brought upon Hull City – a team who before this were high in most Arsenal fans’ estimations. I can’t see that much will come of this, but if the FA do rule that there was no spitting incident then Hull will be left very red-faced indeed. Should Abou Diaby be played as striker? After watching the 3-1 win in Newcastle this weekend I pondered over Diaby’s role in central midfield. Diaby scored in the match and it struck me that he might be a good candidate for conversion to striker. There is a good case that he should be converted to play as striker. Firstly he has proven that he can find the back of the net – scoring quite a few goals in his time at Arsenal, against Liverpool in last season’s CL QF, and against Fenerbahce this season (image above), as well as many others. 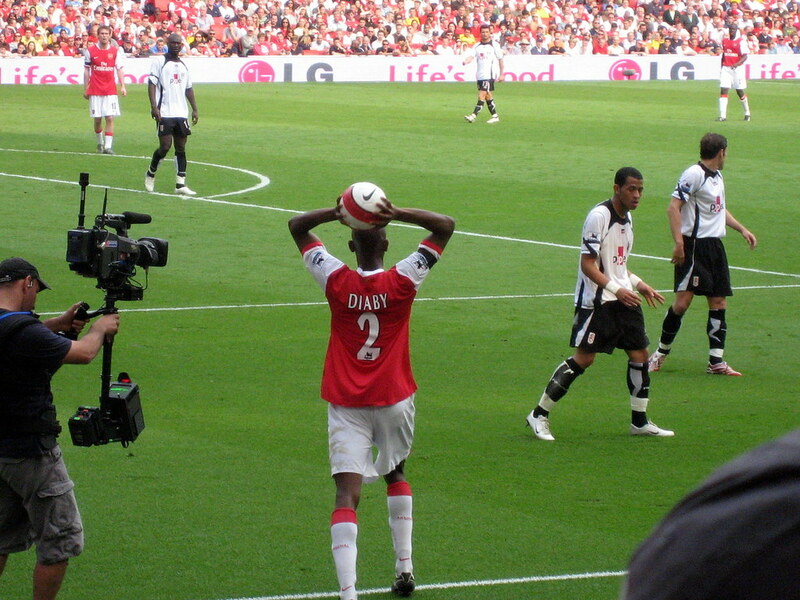 Diaby took his goal well at the weekend too, with a powerful and accurate shot. Another factor is that in central midfield he can be a liability. I know that he has amazing potential for central midfield, but he takes risks with the ball which are unacceptable. His distribution is not quick enough; he doesn’t release the ball, choosing to hold on to it and try to dribble it round 3 players instead. This isn’t saying he can never play there, but merely suggesting we should always consider where we can get the most out of a player. I know many would like to see him fill the Patrick Vieira mould, I just don’t think he has the defensive nous about him. That isn’t to say I think he is a bad player, just more of an attacking midfielder – if he is playing in midfield. We know that he likes to think of himself as an attacking midfielder, but what if we extended this idea further? It could be argued that his attributes fit the strikers mould – he is tall and powerful, useful against the tough defences in the Premiership. He also has amazing control and can hold onto the ball in very tight positions – the urge to dribble round players which is so dangerous in central midfield could be very effective in taking on the last line of defence. He can also pass well when he wants to, and as he showed at Newcastle he has pace, and most importantly a great shot. The state of the squad does pose a problem, as we lack big strong midfielders; Diaby fills a gap there, whilst we have plenty of players who can play up front. So for now it would seem that selection consigns Diaby to stick to learning to play in the centre of midfield. However, if the need existed for a striker then I think he could be a successful conversion. It would be very interesting to see how he would perform if Wenger deployed him up front, but he will always be a central midfielder. What do you think Diaby’s best position is? Arsene Wenger is a fantastic manager, and he has a great record at Arsenal, but one constant in his career is underachieving in European competition. This doesn’t sit well with Wenger, and I can see why, he clearly deserves a European trophy and he has come close on several occasions, not least in 2006 when we were 10 minutes away from winning the Champions League. This article is a bit of Wenger history. It’s interesting to try to look at some of the more distant past to understand what Wenger has been through in his career, and why he is the man he is today. His first major managerial post was at AS Monaco from 1987 – 1995. He won Ligue 1 in 1987/88, his first season, got his first taste of the European Cup the following year, reaching the Quarter Finals, but losing to Galatasaray 2-1 on aggregate, the team who were to beat Wenger’s Arsenal in the 2000 UEFA Cup Final. Wenger then won the French Cup in 1991. This led to his first European final the following season in the 1991/1992 Cup Winner’s Cup. His Monaco side played well beating teams such as Swansea City, Feyenoord and AS Roma, who we are facing in this season’s Champions League. 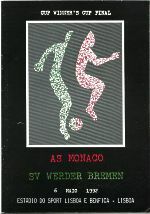 Monaco faced Werder Bremen in the Final. The Final was marred by news of the collapse of a temporary stand in Bastia’s French Cup semifinal with Marseille which left 13 dead and hundreds injured. Otto Rehhagel, who later led Greece to their 2004 European Championship win, was the Bremen manager, and his side won by 2 goals, even though Monaco dominated possession. Wenger had players such as Petit, Djourkaeff, Thuram and George Weah in his side that day. Wenger went on to a UEFA Cup Final with Arsenal against Galatasary in 2000, which we lost on penalties (I was crying) and a Champions League Final against Barcelona in 2006, which could have been so different. I guess the point I’m trying to make is that Wenger has had a great career, but until he puts his name on a European trophy he will not feel like he has achieved his potential. He has had the chances and come close, and this must be frustrating, I’m sure he still remembers these times. Wenger is a competitive guy, and this season he will want to put right his awful record in European finals and bring the Champions League to Arsenal. West Ham 0 – 2 Arsenal, highlights and analysis! Enter our competition to win the new Arsenal kit, Click here! Arsenal won 2 – 0 today after a fantastic London derby against West Ham. The game was brilliant – fast-paced, and attack minded. I give credit to West Ham for attacking and playing good football. It was end to end stuff. Click here to view the highlights. Faubert’s own goal, Adebayor’s goal. We had some great passing moves. Walcott looked dangerous and Van Persie deserved a goal – hitting the post with a great freekick – Rob Green played really well and it took an own goal from Faubert to put us ahead in the 75 minute as Adebayor came off the bench and made an instant impact. Everyone played fantastically, and the second goal was the icing on the cake! If you liked this post then click here to subscribe to our news feed! I came across this link earlier which I think is worth sharing with you. It goes over Arsenal’s revenue streams, looking at why foreign investors might want to buy Arsenal out. There is also analysis of shareholders. Check the link here at Arsenal Column. 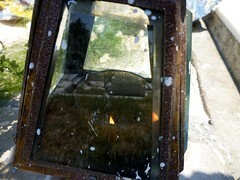 Or click the picture above.